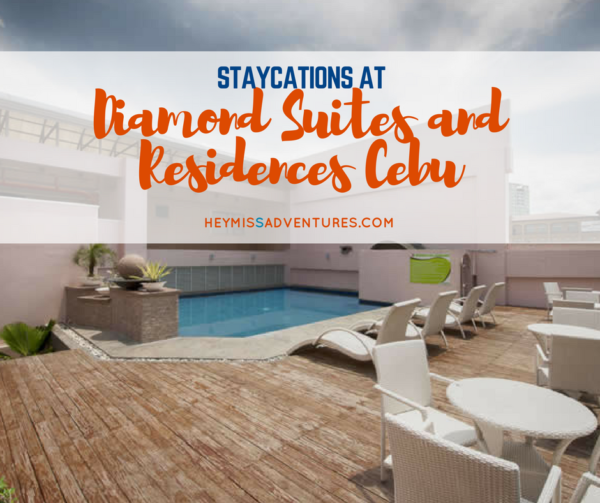 Staycations at Diamond Suites and Residences Cebu | Hey, Miss Adventures! Have you ever felt so low and unproductive you wish you could just get out from wherever you are even for just a day? I made a confession the last time about not being able to travel as much as we would have wanted. We were always short on budget but last weekend, we decided to end the BS and find a way to make our plans happen. We figured a change of scenery will help us shift our moods back to our happy selves so we decided to bring our little family to a nearby hotel. 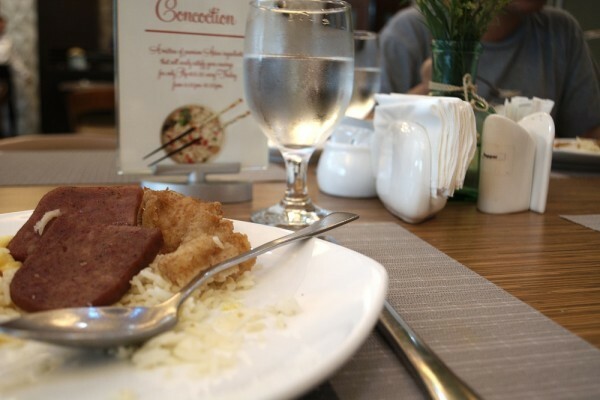 I never realized this but staycations in Cebu are awesome! 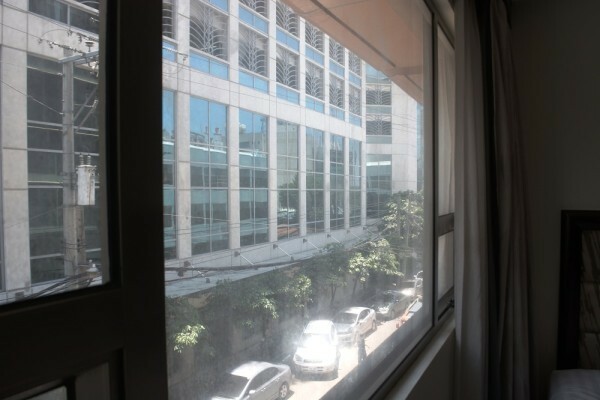 Diamond Suites and Residences (book Agoda or Booking) was just a 30-minute ride away from our house and yet it felt very different. Since we only stayed there for a night, we made sure to maximize our time and got there at 2PM. It sounded and looked crazy but we packed up our suitcase (literally) to get there. Since I had some prior client appointments, it was the partner who brought our daughter and our bag along and I just met them up at the hotel. When you’ve been suffering from index heats running to around 30+ degrees Celsius, all-day air conditioning inside the hotel room is always a welcome change. We got out of the room to buy food in the mall right across. It was awesome how I felt when I got out of the building. I felt like I was some place else, doing touristy stuff and exploring the area for the first time. Haha. It was probably because I felt really fresh (took a bath) on a hot summer afternoon in the city. It was weird. Anyway, we didn’t do much else afterward. My former colleague who just came from Japan met up with us and had dinner with us and a few other officemates. We realized we were too old for anything much so we went back to the hotel at around 10PM and called it a day. LOL. Unfortunately, the Diamond Suites’ pool on the sixth floor was still under renovation (renovation finally done as of October 2016) when we stayed there. It was too bad since it was once of the reasons why we decided to stay there. The next day, we went to their restaurant and had a good breakfast. 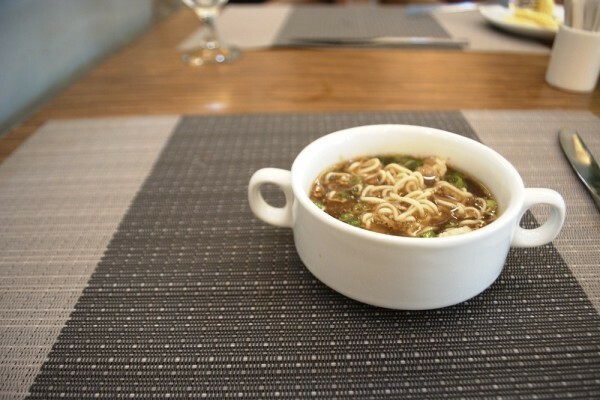 They served the usual meals — nothing spectacular — and I tried to enjoy every one they had. The daughter had cornflakes and milk while the parents had the regular rice, eggs, luncheon meat and so on. They also served bread, pancakes and had a noodle station, which I obviously all tried. 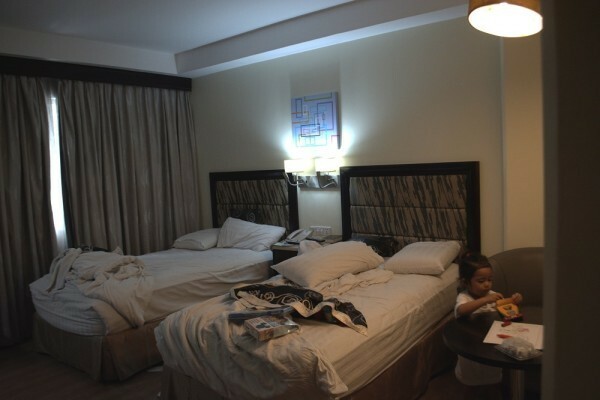 Overall, we found Diamond Suites and Residences in Cebu to be clean (before we stayed there, obviously) albeit tiny. I would have wanted to stay on a much higher floor but ended up at the second, which didn’t give us a very good view outside. Although, the hotel building wasn’t that high either so I wasn’t sure if it could give me the ‘view’ I was rooting for. Our room had twin beds (it was booked via Hotel Quickly) and the partner and I shared one while my daughter and my former colleague shared the other bed. Haha. One of the things I didn’t like about the hotel was the Internet connection. Facebook would barely load up although I was able to check my email. I know I wanted to take a break from the adulting but I also wanted to try out how it would be to be a digital nomad. I decided not to test out my pocket WiFi there but my mobile data was decent enough. 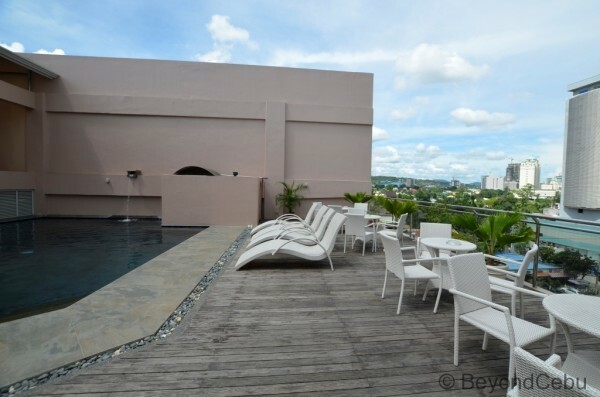 Great stay if you aren’t looking for a lot of frills and if you want are looking for a conveniently-located hotel in Cebu.